Don’t you just love a feel-good story? We do too – and we know you’ll love this little tale. 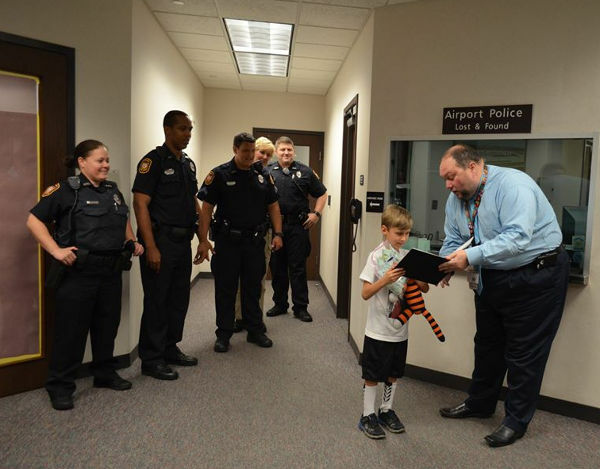 It starts off with the heartbreak of a six-year-old boy losing his favourite toy at an airport, and ends in utter joy, thanks to some very creative airport staff. 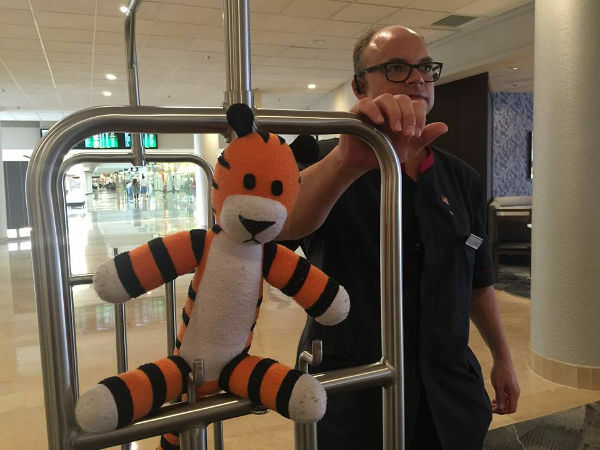 Here’s the story of Hobbes and his airport adventures. 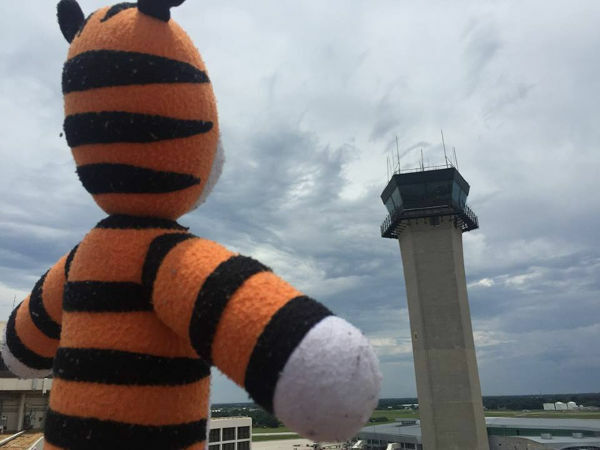 Tampa International Airport’s Lost and Found department took a phone call from a frazzled mother, who said her son Owen had lost his favourite stuffed tiger, Hobbes, at the airport. Staff then swung into action, and it wasn’t long before the beloved stuffed feline was found in the children’s play area. 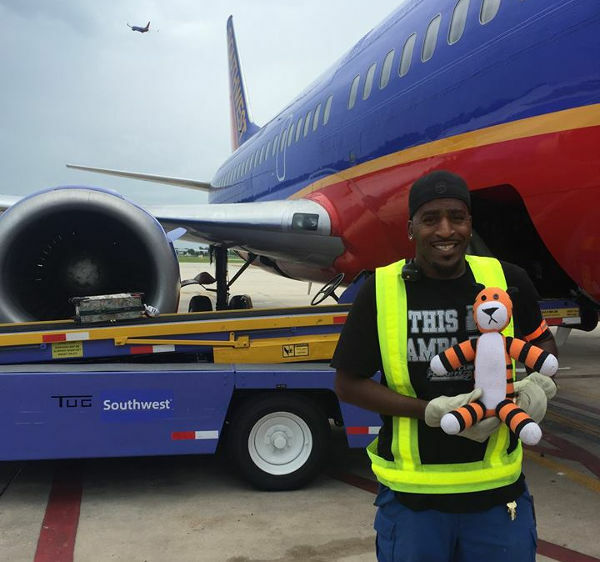 Crisis averted, but there was still some time before Owen would be able to return to the airport to collect his tiger friend. 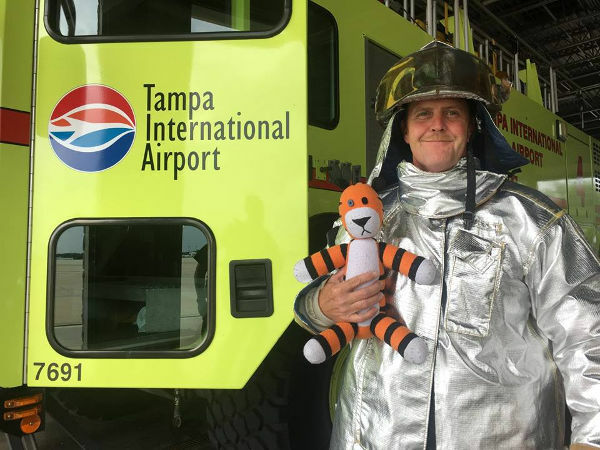 So Airport Operations Centre manager Tony D’Aiuto decided to give Hobbes the time of his life, while awaiting collection by his owner. 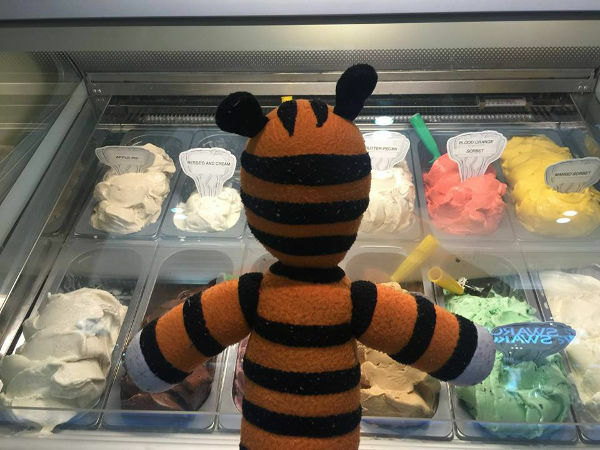 With the help of airport police and operations staff, Hobbes was photographed on a series of airport adventures – checking out the air traffic control tower, indulging in gelato, in the gym and napping by the pool. He even went to the trouble of making a book of Hobbes’ adventures, which was given to the family when the toy was collected on their return. Owen’s mum Amanda Lake says she reassured her son that Hobbes was being well taken care of, but she had no idea just how well.